← How to integrate a PDF Editor or PDF Annotation into my Windows application? I'm interested in your software but i can't understand if it'll suite my needs. I have to deliver a PDF document to an institution, and I want to auto-delete at a specific date. But I have to upload this document to the website of the institution, I cant have them to access the document through your cloud platform. So with your software can I set expiration date (and possibly auto-delete) to my pdf document that I'll have to upload to this institution's website? Thanks for your message, yes, of course, you can set the expiration date to PDF file, after expiration date, this PDF file can't be opened or it will be deleted automatically. Thank you for your kind reply, I do still have one doubt. After I've add drm protection can I download the encrypted version of my pdf? Can I then send it as an attachment in an email? Or upload it to a 3d party institution website? And, what I'm most interested in, will the recipient of my encrypted/drm-ed pdf be able to read it with any pdf reader, till it'll auto-delete at expire date? >>After I've add drm protection, can I download the encrypted version of my pdf? 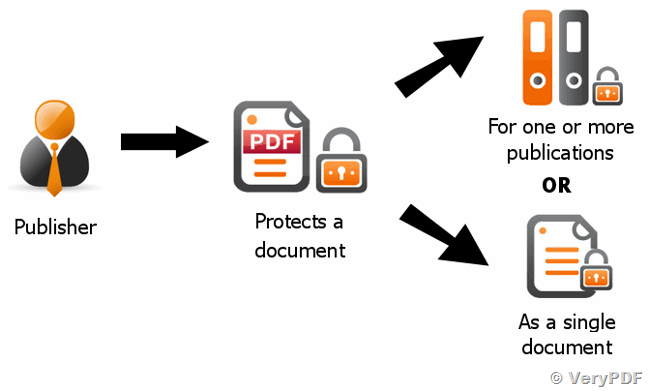 Yes, you can download DRM protected PDF files. >>Can I then send it as an attachment in an email? Yes, you can send this DRM protected PDF file as attachment to others. >>Or upload it to a 3d party institution website? Yes, you can upload it to 3d party institution websites. >>And, what I'm most interested in, will the recipient of my encrypted/drm-ed pdf be able to read it with any pdf reader, till it'll auto-delete at expire date? No, you can only read this PDF file in VeryPDF PDF Reader, you can't read it in Adobe Reader, because Adobe Reader can't decrypt our DRM protected PDF file, so you have to open and read the DRM protected PDF file in VeryPDF PDF Reader, VeryPDF PDF Reader will delete this PDF file after expire date automatically. This entry was posted in PDF Security and tagged drm pdf, encrypt PDF, pdf protection. Bookmark the permalink.